The Professional Regulation Commission would like to informs all who passed the June 2014 Pharmacists Licensure Exam that the schedule of initial registration are now posted online and on this page. 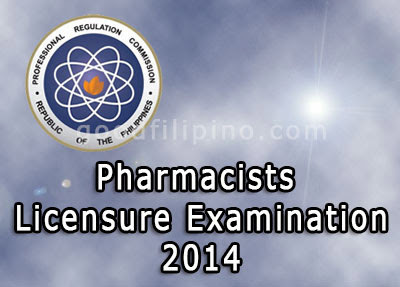 The Board of Pharmacy successfully conducted the said exam in the cities of Manila, Baguio, Cebu and Davao. As per PRC advised, all registrants are need to go in the PRC Main Building, Manila for the said initial registration with the given scheduled below. And to avoid any inconvenience, don't forget to strictly observe the schedule for initial registration. For more information about the Schedule of Initial Registration for new Pharmacists, kindly bookmark this page and share to your joined social networking sites. Comments or suggestions about "June 2014 Pharmacy Board Passers schedule for Initial Registration" is important to us, you may share it by using the comment box below.